Pari LC Aerosol masks are soft and flexible for comfortable aerosol delivery. 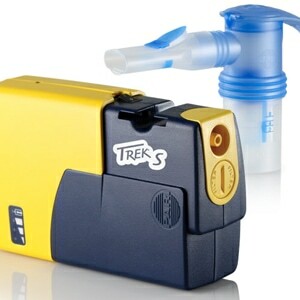 The front-load design directs aerosol towards the patient's mouth for improved overall delivery. An adjustable elastic head strap, as shown, is included. 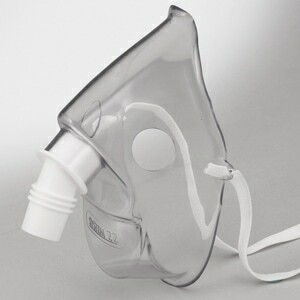 COMPATIBILITY: This face mask is designed exclusively for use with Pari Medical nebulizers. It is NOT compatible with standard nebulizers like those from Philips Respironics, AirLife, Devilbiss Healthcare, and others. I finally found them!!! I checked all medical supply stores and got no where. Checked pharmacies.... And Finally found you on the internet. This was an efficient, easy way of sour business. Thanks! 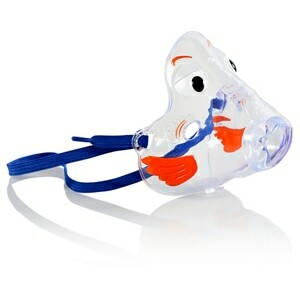 This product is advertised as an adult mask for the pari nebulizers. 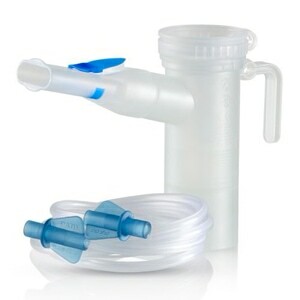 Since my husband is on nebulizer treatments 4-6 times a day i ordered this to replace the mask we got from the hospital which shoots the mist everywhere including his eyes. The concept for this mask is good to shoot the mist straight into his mouth. As his sole care- 5'giver I have to set it up for him because he is physically impaired. The mask is too small barely able to touch the tip of his nose and cannot get under his chin. I am 4"10" tall and it was too small for my face. My husband is 5'11" with normal size head and we are unable to use this mask. The design is not for an adult but the concept for it was good. If it was larger and a better fit I would have given it 5 STARS because it was exactly what I needed to make his treatments more effective. good backup to the mouthpiece, no more hyperventilating. I think if I got the right size I would give it an excellent. I like how it doesn't cover your whole face. The item was as described and works great! I found the mask to be very uncomfortable around my nose and to gap around it too, making me think I'm losing medication. It's a soft mask which makes it easy to store, but easy to lose its shape. Straps on the mask fit comfortably as well. 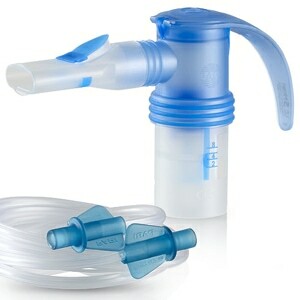 I use this with my side stream PLUS nebulizer and it fits like a glove! So u can use it with things other than pari. It's also cheaper here than anywhere else I could find. It works as expected, however the medicine takes 30% longer to administer, which is a long time with the pari neb, about 45 minutes total now. I have used PARI products for nearly 20 years. Due to our budget, sometimes,we can't afford a new cup and used one cup a year. We tell those who need a product to get PARI . I love Bubbles th fish and wish it came in adult size. We love the fact that I get 99% of the treatment where ever I am taking the treatment.